Driving with a cracked or chipped car window is very dangerous both for the driver and the other passengers. Apex Auto Glass has the right solution for you in Nipomo. 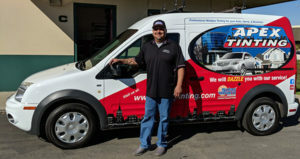 Our Technicians are available right away to meet with you and fix your car window in no time at all and with great results. Apart from the written guarantee, we are proud to provide 100% customer satisfaction with every operation we provide! Our company provides quality car windshield replacement in Nipomo as well. Sometimes the chips and cracks on a window are simply too big to be repaired properly; this is the moment when a windshield replacement is required. Our qualified Technicians will undertake this operation by correctly positioning and perfectly fitting the windshield; it will look like it was never broken. Apex is only local company offering systems calibration for ADAS windshield cams! Sometimes that glass chip is too big, but not this time! Don’t go right away and buy a new windshield if you only have a minor chip. You will save a great amount of money by fixing it instead of replacing the whole windshield. Our Technicians can fix most chips that are not directly into the driver’s line of sight and which are smaller than a regular quarter coin. It will take only 15 minutes to fix one chip, and then you’ll be able to drive safely again. Most people need their car windows fixed as soon and as quickly as possible; most of us use cars to travel to and from work everyday, so we can’t go without our car for too long. When calling Apex Auto Glass, you don’t need to worry about your time. As soon as we establish an appointment with you, one of our Technicians will fix that window quickly. It takes us about 15 minutes to fix a small chip; we can do it while you drink your coffee! 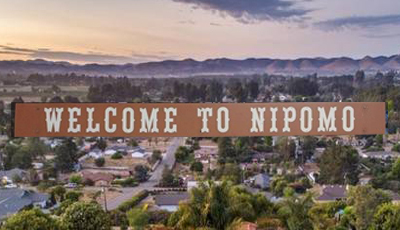 Don’t forget to bookmark this page; this way you will always know where to find us and fix that windshield in Nipomo, 93444.